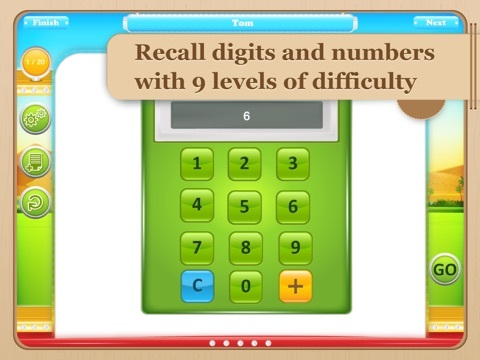 The Auditory Memory Ride app is a comprehensive and fun app for students aged six to 13 with central auditory processing disorder (CAPD) or other related disorders (e.g., receptive language disorder or autism). 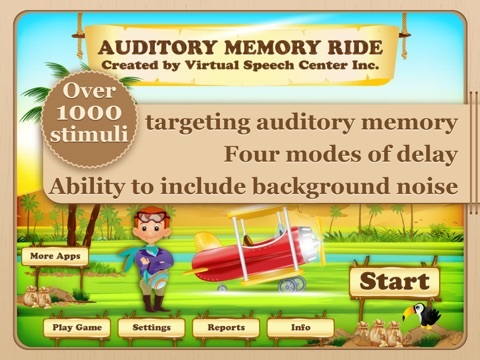 The Auditory Memory Ride app includes over 1000 stimuli with pre-recorded audio and the ability to introduce background noise. 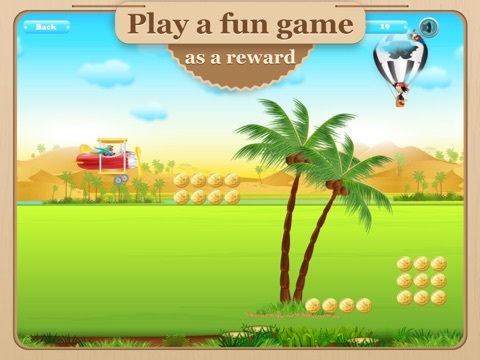 The app includes both recognition and recall tasks with the ability to delay the presentation of the stimuli. There are four modes of delay, including No delay, 5-second delay, 10-second delay, and 15-second delay. Auditory Memory refers to the ability to retain and recall what was heard. Functional auditory memory is critical for following increasingly complex directions, acquiring and expanding vocabulary and knowledge, and for becoming literate. Children with auditory processing disorder struggle with tasks involving auditory memory. They have difficulty retaining auditory information, such as verbal directions or recalling stories. Research is still needed in the area of central auditory processing disorder; however, most individuals will benefit from procedures that target the acoustic signal and from procedures that target language. Comprehensive evaluation and multidisciplinary approach are important aspects of the treatment of individuals with central auditory processing disorder (ASHA 2005). 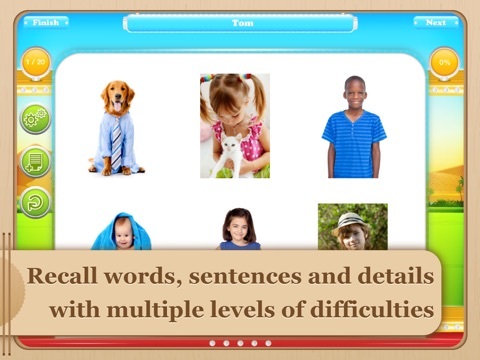 Other apps developed by Virtual Speech Center for central auditory processing disorder include Auditory Workout, Auditory Processing Studio, and School of Multi-Step Directions. American Speech-Language-Hearing Association. (2005). (central) auditory processing disorder [Technical Report]. Available from www.asha.org/policy. Other Apps by Virtual Speech Center Inc.